This Lenox, Massachusetts, restaurant is one of the Berkshires’ fine-dining establishments, and a favorite among guests staying in the area during summer months. 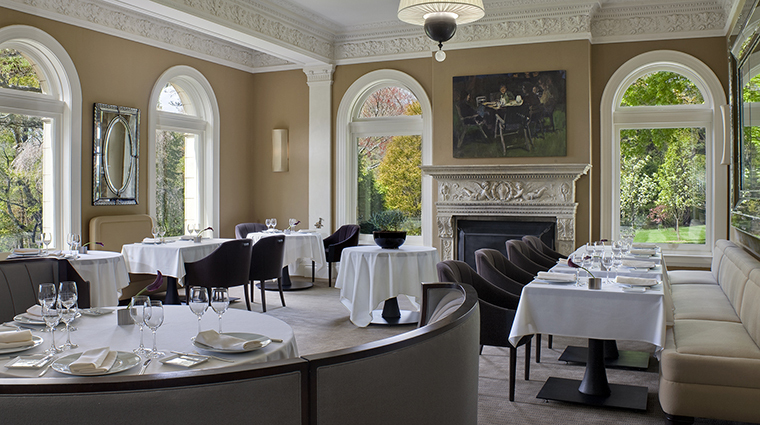 Thanks to Wheatleigh’s short distance from Tanglewood, the summertime home of the Boston Symphony Orchestra, The Portico by Jeffrey Thompson is a go-to dinner spot for tourists visiting the region on show nights or for long weekends. It’s in the heart of the Berkshires and just two and a half hours from Boston and New York. 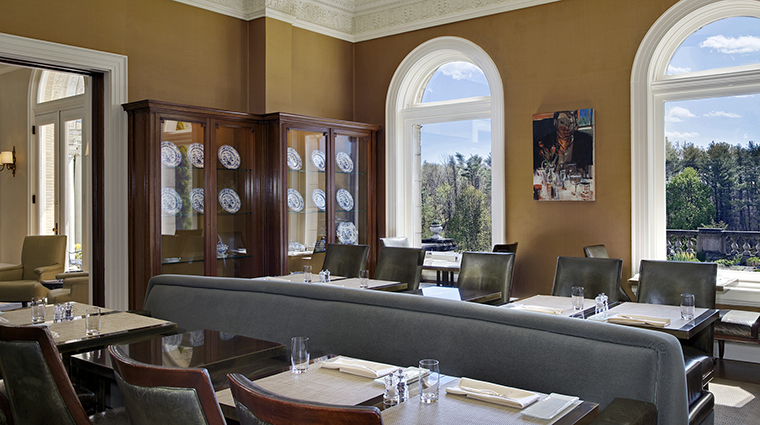 Located on the first floor of Wheatleigh hotel, The Portico by Jeffrey Thompson serves dinner and Sunday brunch in its small, intimate dining room as well as its glass-enclosed deck, both of which overlook the hotel’s immaculate grounds. There is no bar here, but if you want a pre- or post-dinner drink, quench your thirst in Wheatleigh’s Great Hall or outside on the terrace. During brunch service, The Portico is bright and airy, thanks to all the natural light that flows through its arched windows. Plus, the back wall of windows overlooks the stunning landscaped lawns of Wheatleigh's estate. The evening offers a slightly more intimate setting, with dimmed lighting and candles that set the mood for a fine-dining experience. 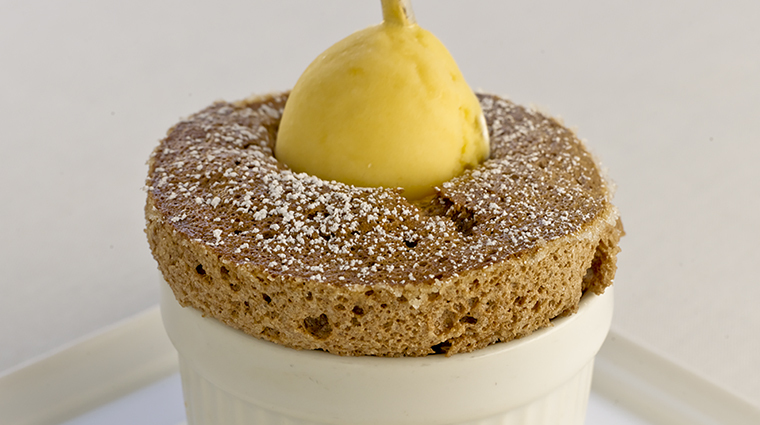 Each table is perfectly set with a white tablecloth, linen napkins and fine china replaced at each course. As you enter the restaurant through The Lounge, make sure to stroll pass the china cabinets — you’ll find some stunning antique place settings that date back as far as the late 1800s. 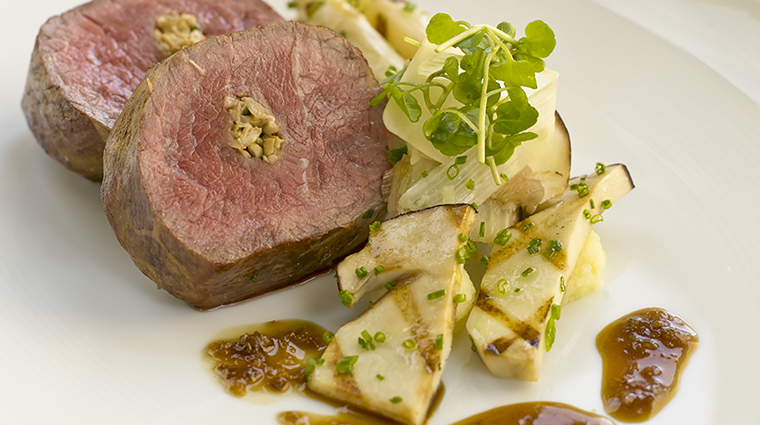 Chef Jeffrey Thompson's seasonal cuisine is offered on two separate menus: a three- or four-course prix-fixe option or an elegant six-course tasting with optional wine pairings to allow you to truly taste the Berkshires’ freshest fare. 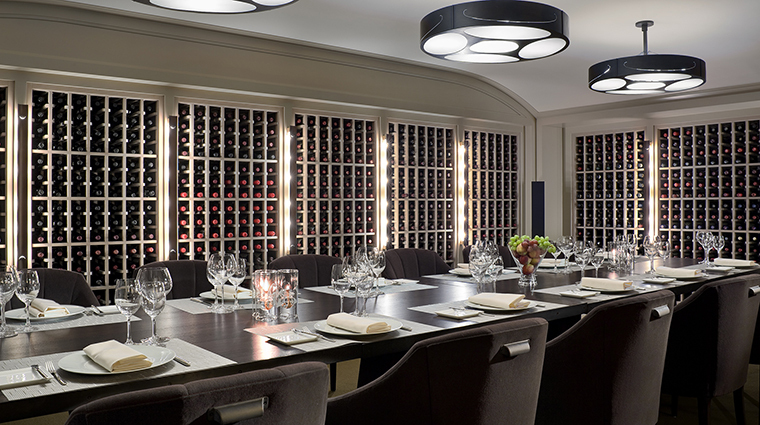 Be sure to visit in the summer to indulge in one of The Portico's Monday wine dinners. 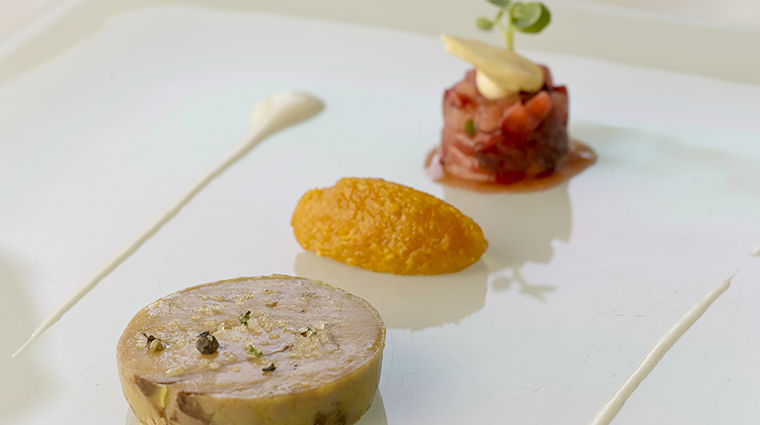 Every week, a unique theme guides the vino selections which are masterfully paired with tapas or a family-style dish from the imagination of chef Thompson. 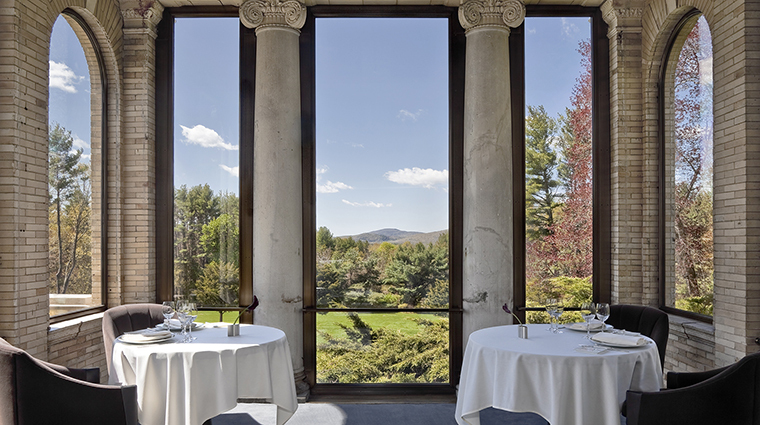 If you’re in the mood for something less formal and a little lighter, enjoy an à la carte meal in The Lounge, located just outside The Portico but sharing the same magnificent vista of the Berkshires. Business casual is the preferred dress code. The restaurant does not require a jacket and tie for men, but does suggest you cover up appropriately before dining here. 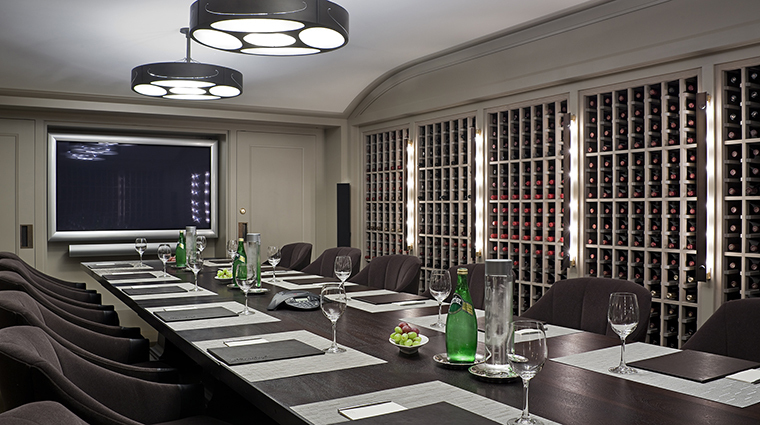 The Portico serves dinner nightly and brunch on Sundays, and both times require a reservation. The Berkshires restaurant seats up to 45 people, so you’ll likely be entertained in the hotel’s conservatory and reception area before your meal. Head to The Portico by Jeffrey Thompson at least 30 minutes before your reservation so you can take in the scenery, immerse yourself in the Italian-infused décor and design of the hotel, and sip pre-dinner cocktails or a glass of champagne. 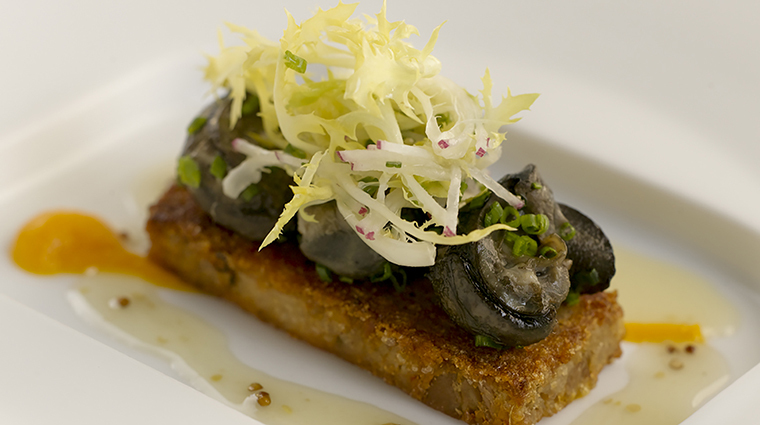 The formal restaurant prides itself on featuring seasonal, locally sourced food in a three-, four- or six-course format. 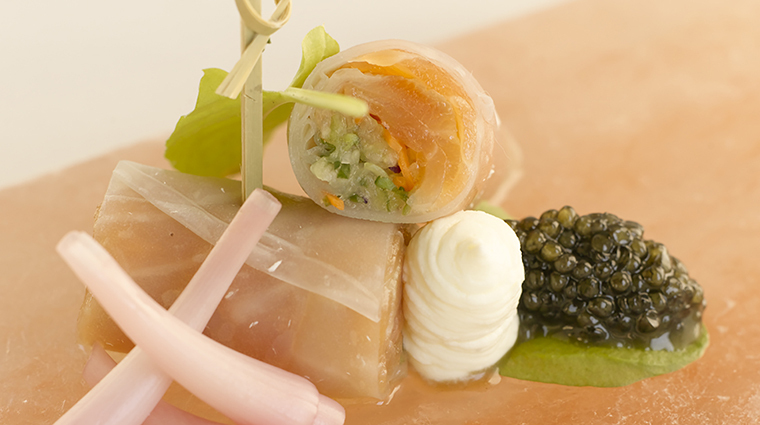 The multi-course menus change often, but expect dishes such as Arctic char cured in beets, wagyu beef tartare with watermelon radish and spring onion mostarda, and a creamy ricotta tortelloni with ricotta, fava beans and hazelnuts. Ask your server about the menu items that are specific to the region, and don’t forget to check with the sommelier for the perfect bottle of wine to accompany your meal. The desserts also highlight the region's seasonal produce with light and refreshing finishers such as black mission figs with a trio of sorbets (Meyer lemon, pistachio and quark).